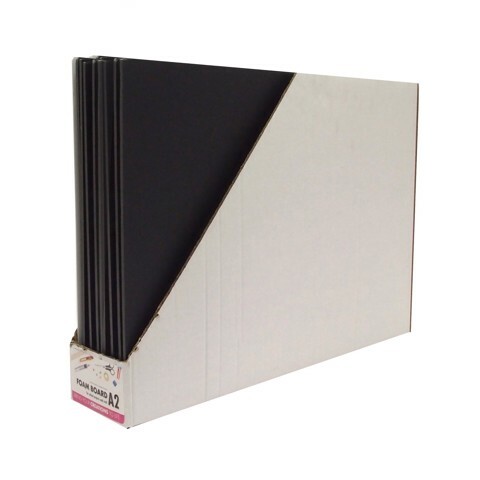 Foam Board A2 Black. A2 Size 420 x 594mm - 5mm Thickness. Black. Polystyrene | PP. 98G Packaging: Colour Label l SRT.